Mia is doing homework in her bedroom when she is inhabited by an evil demon and the family has to bring in three different exorcists in order to help her. 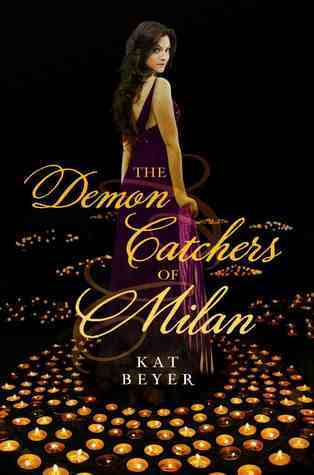 Afterward, she learns that she has a lot of family residing in Italy who are very accomplished demon catchers and they want her to come back to Milan so that they can protect her from anymore attacks and educate her on the art of exorcism. Moving to Milan to stay with family she has never met is quite a challenge and Mia begins to feel bored and homesick, but she does know that the demon who inhabited her is still lurking and waiting to do so again so she tries hard to study whatever she needs to to be prepared. After witnessing some attacks on other people she learns that she may have a real talent for this and feels she may have been drawn back to her family’s roots in Milan for a reason. Will she ever be able to walk alone and not fear the demon coming back for her? Will she ever feel strong enough to help partake in an exorcism? This story was interesting, but not as engaging as the reviews made it out to be. While the characters and plot are developed and unique, it felt like the story moved without any resolution in sight. Even the ending just seemed like a stopping point in Mia’s story and not in a way that makes you want to breathlessly reach for the next one. It lacks action and moves at a leisurely pace which will deter some young readers. The details about the Italian family and their lifestyle versus a typical American lifestyle is interesting.